Next year is 2013. It’s less than 30 days away!! I *know*. WHERE did 2012 go?! If you add up the digits in 2013, you can see that it’s a six year – the Lovers. Which means, to me, that we’re all deciding what we REALLY want next year. Oh sure, we can have nice shoes and buy as many handbags and bottles of perfume as the bank manager will allow, but really, that hollow feeling inside you won’t be filled by a new lipstick. Or even a packet of Kitkats. But what of your personal odyssey in 2013? Take your birth day and month and add to 2013 to find your own personal slant on the year. For example: I’m 13 August….so this equates to 13+8+2013 = 2034 = 9. Again! I think that the Universe is metaphorically whacking me over the back of the head! What’s your personal 2013 card? And how does your own 2013 card look once you filter it through the lens of The Lovers, the card for 2013? For me, it would seem that in order to progress my own spiritual path, I will be lighting the way for others (and, as a result of that, myself too). But of course, THIS blog is all about the court cards, so let’s add a little Court Card magic to the exercise! I’ve already established that I’ll be working The Hermit through The Lovers next year. So, what I need to know now is: Which Court card will assist me with this endeavour and which court card will hinder me? Here’s the card who’s not proving useful – the Page of Wands. Significant that they are both Pages, don’t you think? It seems that the mind of a beginner will be useful, but not the actions of one! So, tell me (I’m being nosy, in true Page of Swords style!) what comes up for you in this exercise? As an addendum, today, 12/12/12, I took out my Shadowscapes deck to do a year-ahead reading, 12 cards in a 4 x 3 pattern. First one was…the Lovers! Ta-dah! It's Strength for me this year (using a deck that has Strength as card 8). After a year of the Chariot, which has not been easy, I'm ready to draw on some strength to help me make some choices (connection to the Lovers). Using the Wildwood (feeling too overwhelmed for Haindl today! ), the Knight of Stones will help me, while the Page of Bows won't. After I cogitate on that awhile, I'll write it up on my blog…. 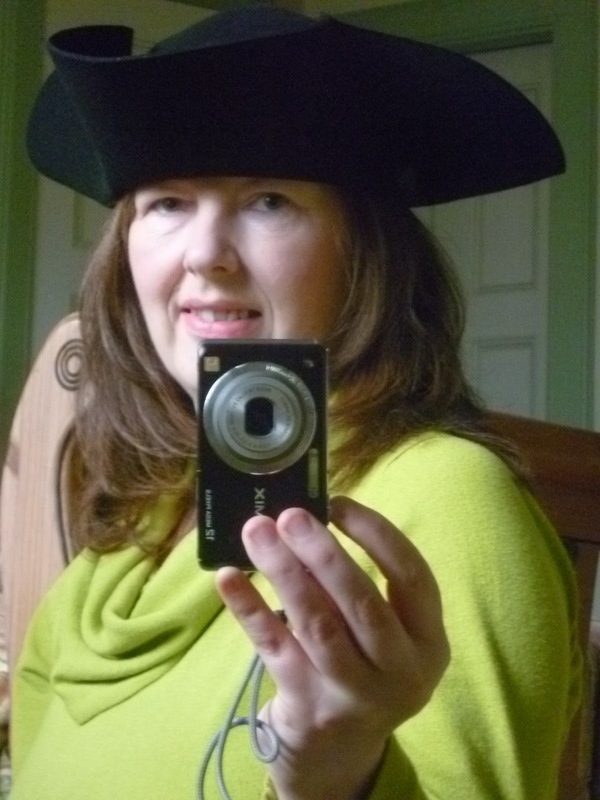 Nipped over to yours and left comment but I think I'm a wee bit mixed up – are you Hermit or Shaman/Hierophant? Wow! What a great post Alison! I was in need of a kick up the behind and this exercise has certainly done that 🙂 It's all action stations for me next year with Christmas being the calm before the storm lol. As much as it's flown by I'm happy 2012 is on it's way out because this was a Hanged Man year for me. While I appreciate the time and resources I had to recover and explore my spirituality, I'm really looking forward to getting things moving again in the external world. 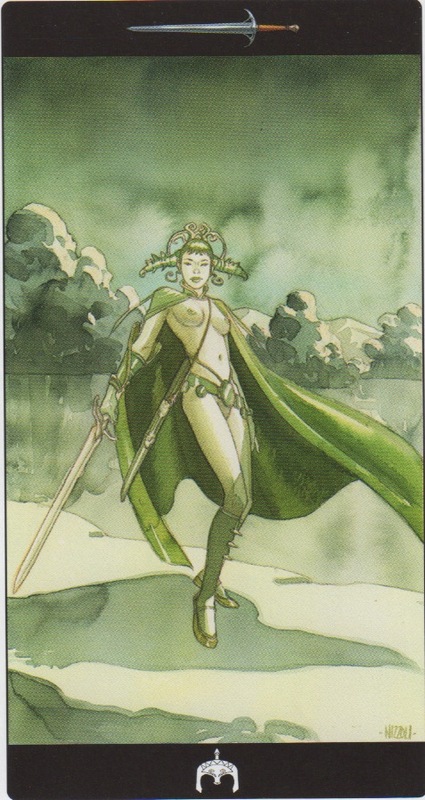 The court card assisting me is the Queen of Wands from the Shadowscapes Tarot. The Queen plays a beautiful harp that appears to grow from the branches of a great tree. She expresses herself and is completely focused on her desire to express herself. She's surrounded by creatures of the forest, and small green jewels blossom from the branches while she plays her music. Optimism, confidence, and the determination to walk my own path is the way to go. The Queen of Wands is telling me I can handle the changes ahead, and that I have all the qualities I need to move forward. This Queen can also be a bit of a show-off… she's creative, cares about her appearance and looks for excitement. I can totally relate to this because my illness held me down for such a long time. The tedium of being unable to participate in life plus what may well be some sort of mid-life crisis is a dangerous cocktail 😛 I've already started an exercise programme and to say I'm gagging for a bit of life in my life is an understatement. The court card that hinders is the Page of Cups. The Page sits on a large rock beneath the water and is completely absorbed by the cup in her hands. This isn't a good time for reflection, sentimentality, or day dreaming. 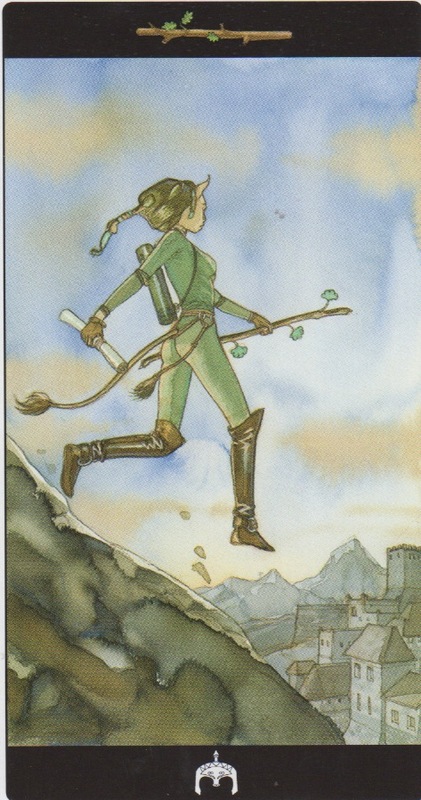 I need to really commit to making my dreams a reality and the energy of the Queen of Wands can help me do this. Death! What a marvellous challenge this will pose for you! Cutting out all the stuff that no longer serves your higher good! I am very fond of The Queen of Wands- so get your shoulder to the wheel for next year! I will be the Chariot next year. I was hoping for the Hermit, but I guess it is time for me to actually get on with things, and to stop thinking and focusing on my inner development. As always, my main focus is the book I am trying to write. I do love the book, the characters and the plot. It is very much a part of who I am, and it is time to drive myself and the writing forward, and hopefully get to a stage (destination) where I feel it is finished. I will be helped by the Queen of Wands. 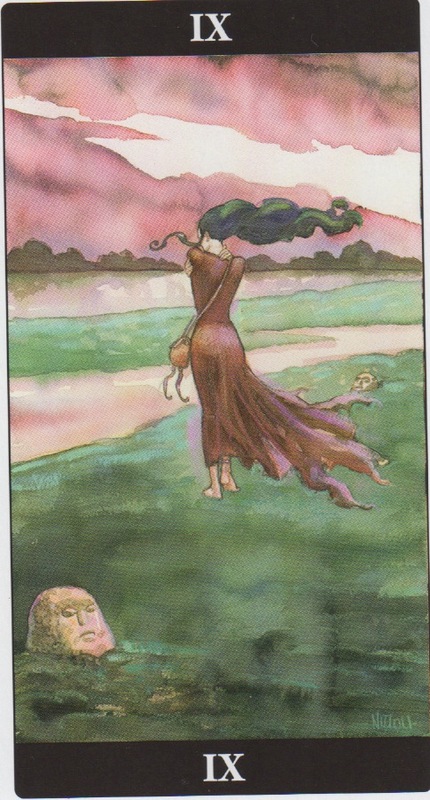 In this deck, she is relaxed, sitting in a tree, and open/approachable. The time has come to have faith in my abilities, and let the world see me. Caroline – this is BRILLIANT!!! So glad to hear that you are cracking on with the book and I shall keep reminding you of the Queen of Wands throughout the year! Please do – I'll take a wander over and read your result! Try it with the court card add-ons?